Hagen, Christensen & McIlwain Architects provided facility assessment and design services for the complete renovation of the existing Kalahari Building located at the Minnesota Zoo. 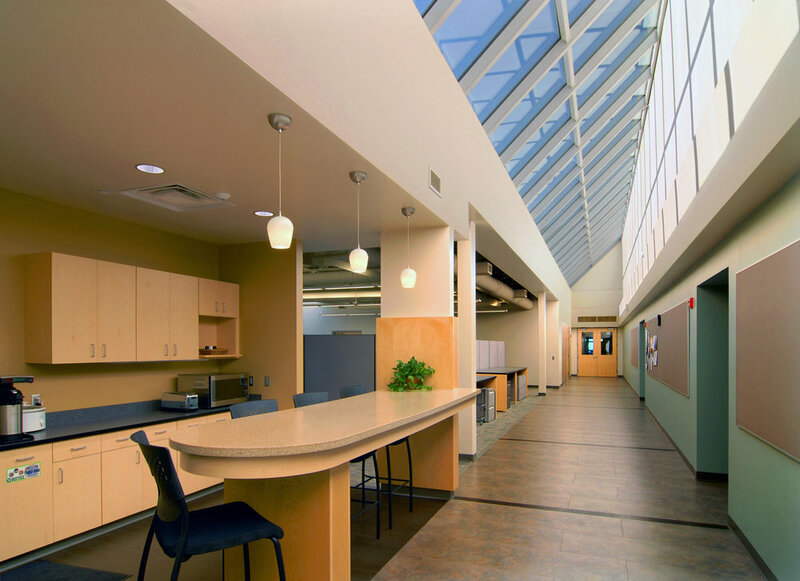 The facility was converted from an animal exhibit facility into administrative offices. The existing tiger pens and handler facilities remained at the north end of the building requiring extreme attention to building system upgrades and coordination. The exterior of the building was renovated to tie into a series of new buildings located around the water play plaza. Construction was completed spring 2010. 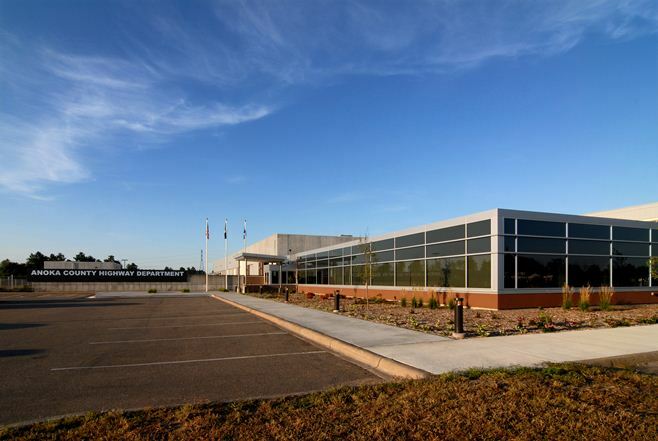 HCM has completed design and construction administration services for Anoka County Highway Department Phase 1 of the “Ultimate Master Plan” for their facility. Overall Phase 1 addresses the most significant safety and work space issues of the facility while concentrating on the deferred maintenance items identified as part of the audit. HCM created a construction phasing plan that allows for uninterrupted Highway Department Operations and construction work simultaneously. The goal was to not substantially change the original use of the spaces being remodeled by recapturing under-utilized and inefficient existing space. Phase 1 consisted of a new 23,500 square foot Fleet Services addition that will provide a safe and efficient work environment for servicing and maintaining all of the County’s Highway Department equipment. The renovation of the 13,980 square feet existing Office area will provide an efficient and collaborative work environment for office/admin/engineering staff. The renovation of the 17,480 square foot Signs and Signals shop space within the existing building shell will create a more safe, efficient and flexible space. 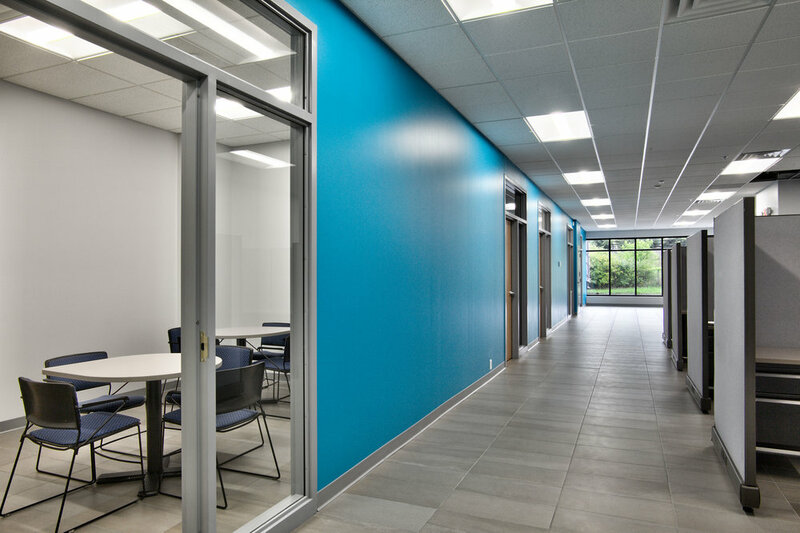 All new and renovated areas of the facility will experience the benefits of this project with significantly improved indoor air quality and natural daylight within the work environment. HCM completed restoration and expansion of this historic library building. Roosevelt Library was placed on the National Historic Register in May, 2000 and has been designated a Building of Cultural Significance by the city of Minneapolis through its Historic Preservation Commission. HCM Architects worked with the HPC to review and approve all renovation and expansion designs. In 2006 HCM provided design services to improve the experience at the pool by adding pool/water play amenities. In 2010 HCM designed the new bath house and concessions building which completes the upgrades to the pool facility. All new buildings use architectural elements that tie together with the historically significant buildings in the park. Hagen Christensen & McIlwain Architects and its Design Team provided services for the Design of the Public Works North Shop Facility for Washington County. Specific work scope items included detailed Space Needs Programming, planning, building exterior design, M&E System narratives, structural analysis and conceptual design, and full site design and documentation. The goal was to be assured that the existing facility and site could be expanded and improved to support the long-term needs of the Public Works Department and to determine a Project Budget that was accurate.